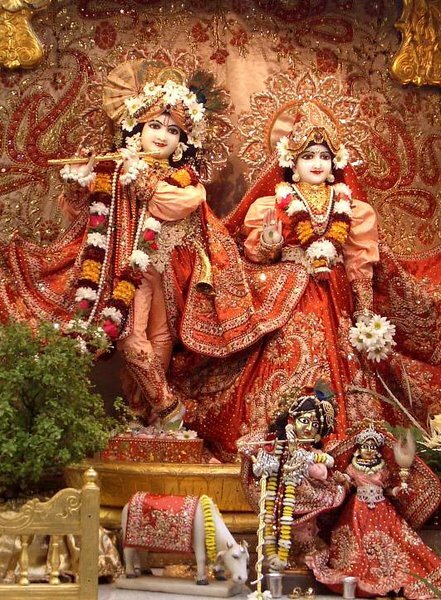 "The beauty of the lotus feet of the Lord is compared to the petals of a lotus flower which grows in the autumn season. By nature's law, in autumn the dirty or muddy waters of rivers and lakes become very clean. At that time the lotus flowers growing in the lakes appear very bright and beautiful. The lotus flower itself is compared to the lotus feet of the Lord, and the petals are compared to the nails of the feet of the Lord. 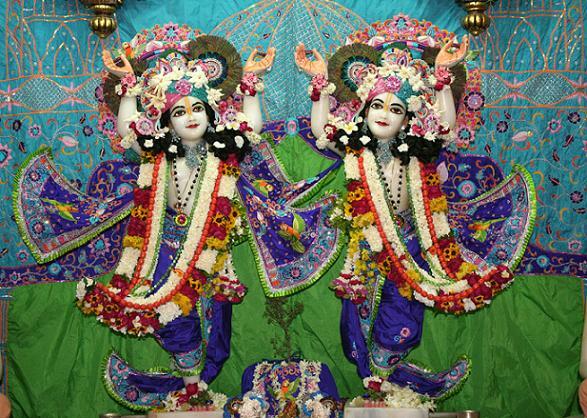 The nails of the feet of the Lord are very bright, as Brahma-samhita testifies. Ananda-cinmaya-sad-ujjvala-vigrahasya: [Bs 5.32] every limb of the transcendental body of the Lord is made of ananda-cinmaya-sad-ujjvala. Thus every limb is eternally bright. As sunshine dissipates the darkness of this material world, the effulgence emanating from the body of the Lord immediately dries up the darkness in the heart of the conditioned soul."